When mom is completely away from puppies. 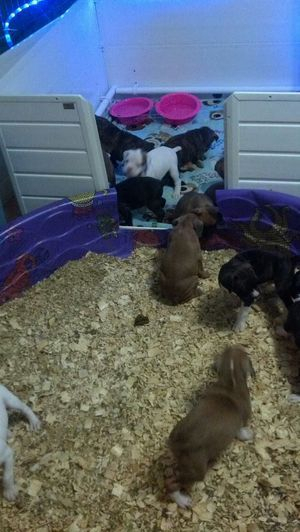 You want to make a very small bed area attached to a larger potty area. 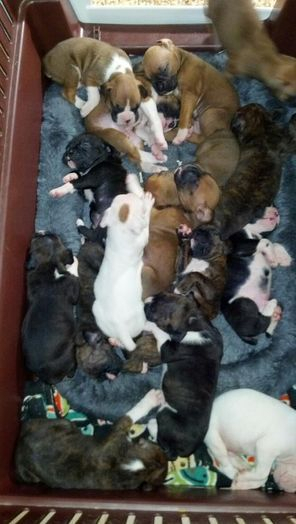 In this photo I used my whelping box lined with shavings. This is ok when they are really small (if you have a bottom on your box) but as they get bigger there will be a lot of moisture. I put their food and water in the litter area for now because the area where they sleep needs to be ONLY large enough for them to sleep. I use wood shavings. You can start making their bed area larger after they are efficiently using this. 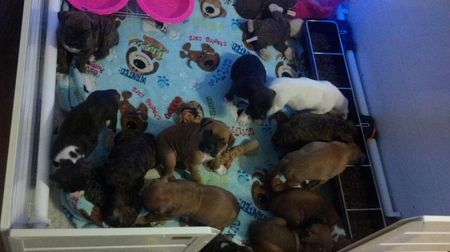 Step one usually goes quickly.. but you'll notice if you make the area where they sleep too large they wont be as reliable at first... if they are having a lot of accidents in the sleep area make it small again for a few days.. than go back. 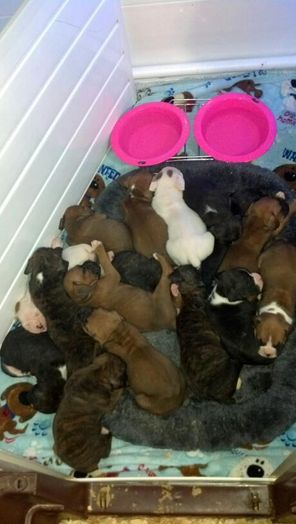 If they do pee in the potty area give new bedding so that there is no urine smell in it. 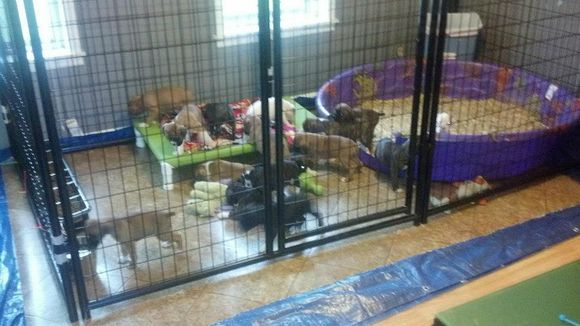 Notice how I used a panel of my whelping box to make the sleep/eat area smaller. I tried giving them the whole box and we were having accidents. 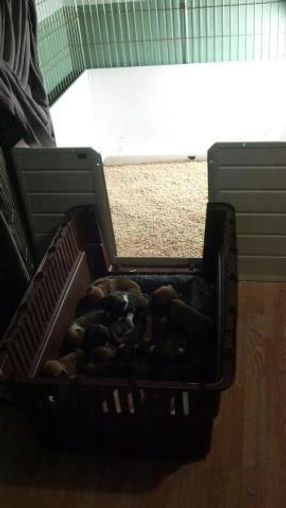 This was really easy for me to make them a smaller area until they "got it"
By this point your puppies should be pretty reliable. I try to have them at this stage within a week to a week and a half. 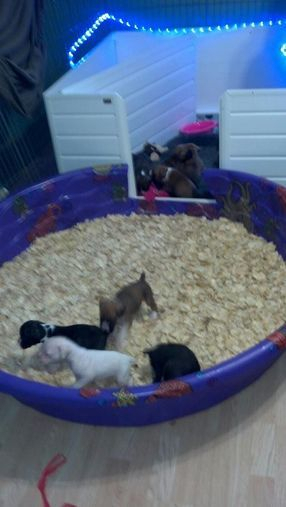 Puppies now have full whelping box for eat/play and their pool. After my puppies are 6 weeks i move them into a large 5x10 area and they are very reliable about going to use the pool in their pen. I'll post pictures of that later.